LACHLAN "Lachy" Wells' family only realised how many lives the "mischievous" football player had touched when his teammates and rivals honoured him on the field. His Aunt, Kristine Hanna said she had not thought her nephew, 25, lived long enough to build such a positive legacy. 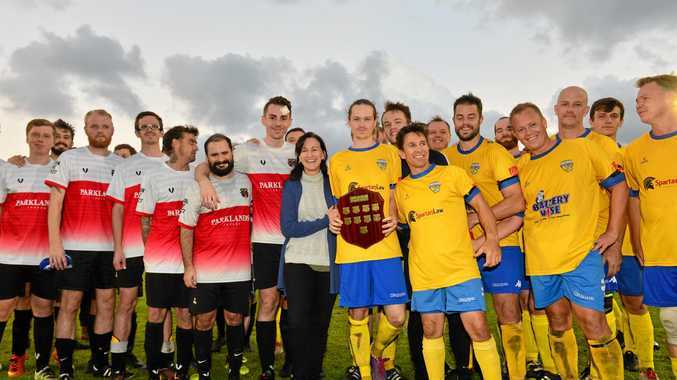 But about four times the usual division 4 crowd turned out Saturday night to support the inaugural Lachlan Wells Charity Shield soccer match. 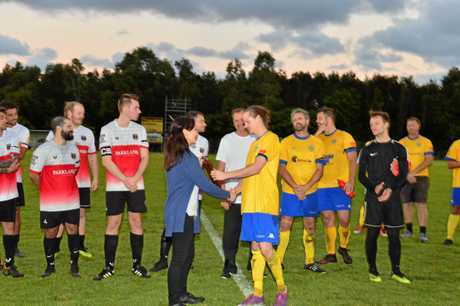 The match was held in Lachy's memory to raise awareness and funds for mental health. Ms Hanna said as the spotlight shifted from Lachy, she hoped it would focus on the message "no problem is too big or small that you can't tell somebody". She said tragically, Lachy did not have that "courage to share", and he took his life last September after losing his battle with depression. 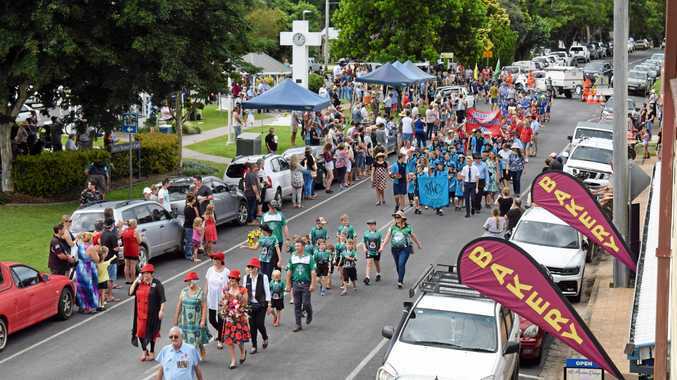 Ms Hanna addressed Saturday's crowd on behalf of the family, including Lachy's parents Ross and Genene who could not attend due to overseas commitments. 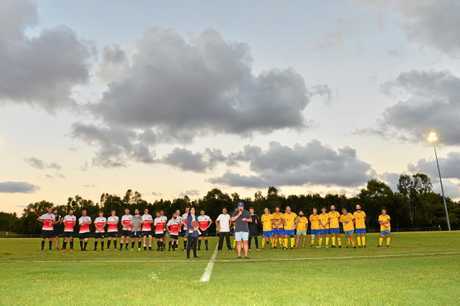 She thanked Lachy's Kawana Football Club teammates for their "true tribute from the heart" and the rival Caloundra team for taking part in the match. She said Ross Wells wished to give special mention to Lachy's teammate, David Cook, who had become the family's "special friend" and supporter. Ms Hanna said the family only realised how deep the team was impacted by Lachy's death when she read in the Daily some had considered not signing on this season. They all did, but feel his absence. She said the family could "take solace" in knowing Lachy would be remembered in a positive way, and it put a smile on their faces to know others cared for him as much as they did. "It helps us move forward instead of looking back at the dark times," she said. She said the most apparent thing to come from her nephew's death was that no matter what issue you might have on the surface - struggles with gender identity, race, culture - it came back to a feeling that you "don't belong" or "aren't connected to anyone". "We need to be connecting with people, checking in with each other and making each other feel like they at least belong to something, and give them that strength to talk to somebody," Ms Hanna said. The first thing that came to her mind when she thought of Lachy was "rat bag". "He had an impish sense of humour and was always getting up to mischief in the family and cracking jokes," she said of her fondest memories. For crisis support call Beyond Blue on 1300 224 636 and visit beyondblue.org.au for resources and to donate.